Sophie is the Manager of Trends for EMEA, responsible for ensuring content in the region is insightful, while also working with the wider team on developing new trends. World Oceans Day is a global day of celebration and collaboration aimed at preventing plastic pollution by encouraging solutions for a healthy ocean. As Mintel highlighted ocean pollution as a key trend set to influence European consumers in 2018, we celebrate World Oceans Day by presenting 4 initiatives from the past year that have tackled the issue in creative, impactful ways. 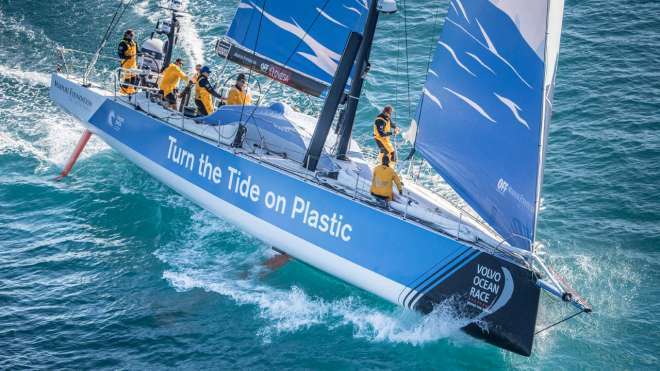 Turn the Tide on Plastic is a yacht team competing in the Volvo Ocean Race, a 45,000-mile round-the-world race, and raising awareness around the impact of plastic on the ocean. The yacht itself carries a microplastic sampling unit and will collect plastic from the water during the eight months of the race. The team is competing on behalf of the United Nations, with the mission to amplify the ‘Clean Seas: Turn the Tide on Plastic’ campaign. Multinational and comprised of a 50/50 male/female squad, they also promote messages around inclusivity in age and gender. 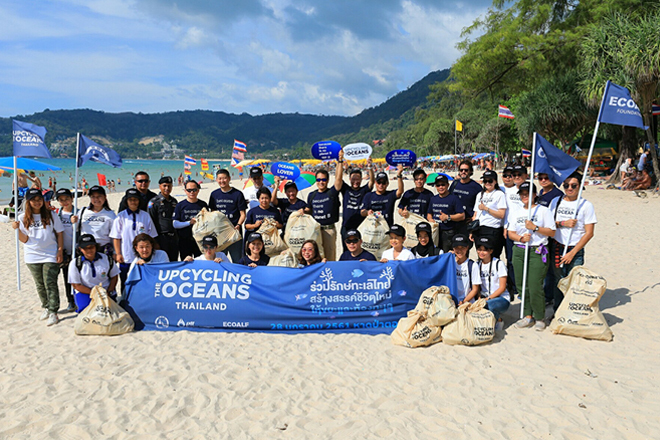 The Tourism Authority of Thailand has launched the “Save the Ocean & Save for Your Dive” campaign in Phuket, which rewards divers for collecting rubbish with special discounts on trips, accommodation and restaurants. Thailand has a serious problem with ocean pollution. Changing lifestyles and the emergence of a throwaway culture have significantly increased the amount of waste littering the country’s oceans and beaches in recent years, with plastic waste becoming a particular concern. The scale of the problem has forced the government to commit to tackling the issue, especially since the country’s picturesque beaches are popular tourist destinations and valuable national resources. 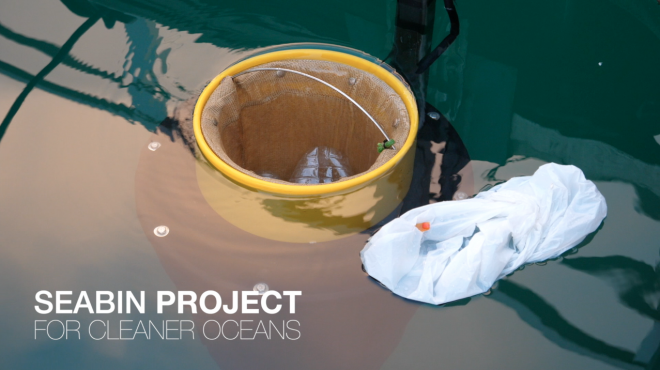 The Seabin is a device capable of collecting various kinds of pollution in the sea that’s being trialled at ports in the UK, Spain and Finland. Made up of a large fibre net and a dock-based pump, it’s capable of collecting pollution of all sizes, down to floating debris as small as 2mm in diameter. The device can also collect oil from the water, and works by creating a flow of water into the bin, bringing with it any surrounding debris that is then caught in the net. 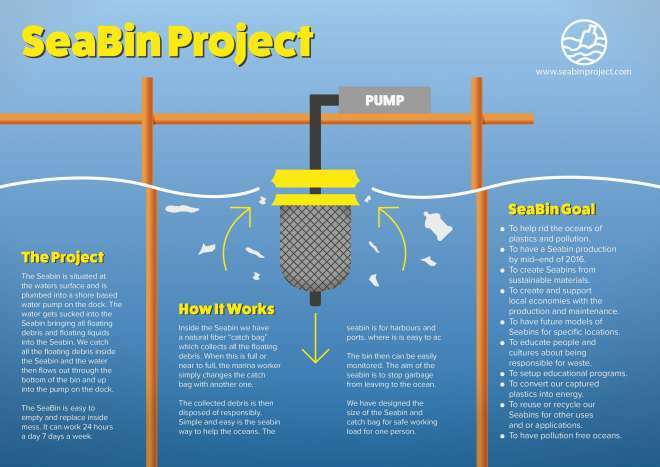 Its creators estimate that each Seabin can remove about half a ton of debris every year, the equivalent of collecting about 20,000 bottles or 83,000 plastic bags. 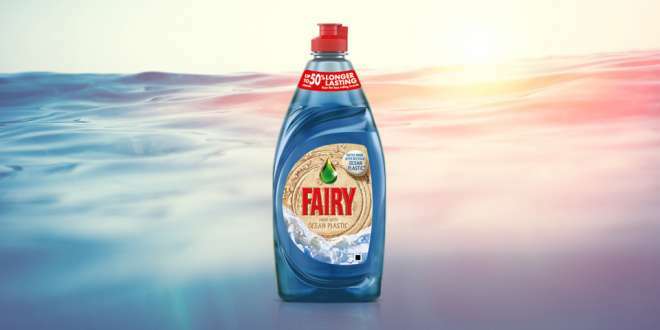 Procter & Gamble has launched a new Fairy washing-up liquid bottle made completely from post-consumer recycled plastic and ocean plastic. The launch of the bottle aims to raise awareness of the issue of ocean plastic and what can be done to prevent plastic waste from reaching the ocean. The bottle is likely to find favour with the 67% of UK consumers who are concerned about the future state of the environment. Is ocean plastic pollution a cause close to your heart? Help spread the word and share this article on social media using the hashtag #WorldOceansDay!